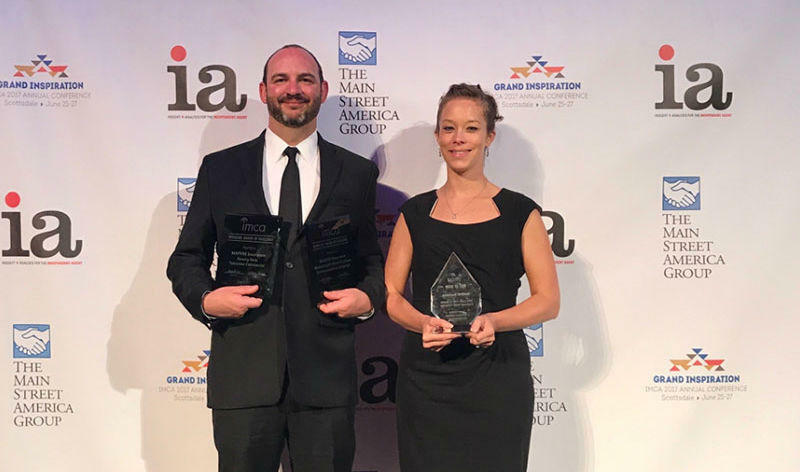 The company has received three awards from the Insurance Marketing & Communications Association (IMCA) in the United States. The 59th annual gala of awards of the Insurance Marketing & Communications Association (IMCA) took place last week at the Scottsdale Hotel on the McCormick Ranch in Arizona. At the event, more than 90 awards in 33 categories were given out. More than 300 US and Canadian companies presented their candidacies this year for the awards, which recognize the most outstanding campaigns and products in marketing and communications in the insurance industry. Representatives of the Mapfre Insurance Marketing and Corporate Communication team were on hand to accept the awards, which were given to the insurer in recognition of its creativity and advertising design. – Excellence Awards for its Health Week campaigns and Fenway Facts for curious facts about the field of the Boston Red Sox. The 70 members of the IMCA award panel are professionals in advertising, marketing, public relations, research, technology and corporate communication from throughout North America.